Perhaps it's silly to compare tournaments that were played in the 19th century to those of modern football, nonetheless, football was established in the 1800's and sometimes it's these little projects that make us think back and thank our forefathers for the wonderful game they have passed on to us. Today I decided to put together a list of some clubs that have won the oldest association football tournament in the world, but may be club names that not many have heard of before. Oxford University AFC was formed in 1871 and were a force in the sport's early stages. 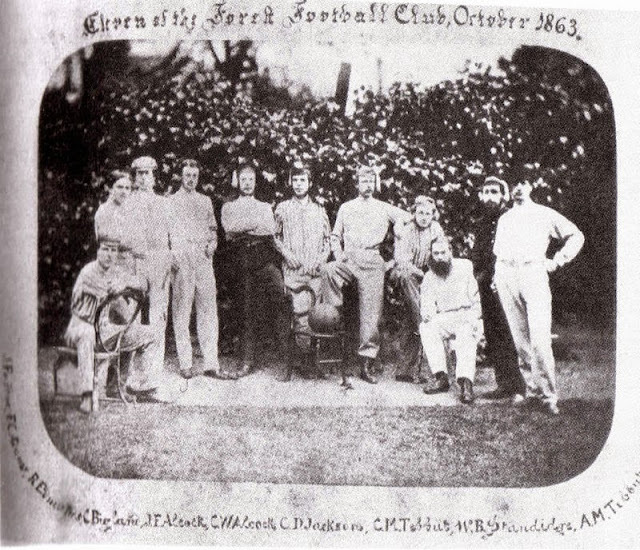 Reaching the FA Cup finals on 4 occasions, OUAFC won the tournament once in 1874 after defeating Royal Engineers AFC by a score of 2-0 at the Kennington Oval (known now as just The Oval) in London in front of a crown of 2,000 people. Established in 1863 and nicknamed the "Suppers", Royal Engineers AFC was a club comprised of captains and lieutenants. Just like Oxford University REAFC made the FA Cup final match four times, winning the tournament once, a year after their loss to the University. On March 13, 1875, again at Kennington Oval but this time in front of 3,000 people, Royal Engineers would draw their opposition Old Etonians 1-1. Three days later at the same ground Royal Engineers would claim their first FA Cup victory with a 2-0 win. The Suppers were the first recorded team to be labeled to play "beautiful" football. Showcasing a combination style of play as oppose to the individualist norm of the time, the club was branded as innovators. In 1880 it was the turn of south London side Clapham Rovers to win the cup. With 19 times capped England international star player Norman Bailey in their squad, the Rovers defeated Oxford University by a slim 1-0 margin to lift the FA Cup trophy. The club would dissolve in the early 1900's, although since the mid 1990's there has been a Sunday League club operating under the same name. The last on our list with just 1 win is a club based in Surrey that has been around since 1876 and still operates, currently playing their football in the Arthurian League, in the Premier Division of the Amateur Football Alliance. Old Carthusians FC captured their one and only FA Cup victory in 1881 when they defeated Old Etonians by a final score of 3-0. In more modern times, Old Carthusians have won their Arthurian League title 11 times, including this year. Established in 1871, the "OEs" of Berkshire have made the FA Cup finals 6 times, capturing the trophy twice. After two unsuccessful trips to the Kennington Oval in 1875 and 76 Old Etonians came back to the cricket ground to take on Clapham Rovers in 1979 and raised the cup for the very first time in club history with a 1-0 victory. In 1882 they would be back to claim their second tournament win, this time playing a more familiar club to modern football fans, defeating the Blackburn Rovers with the same 1-0 final score. Currently, Old Etonians also play in the Arthurian League and have won the Premier Division twice. 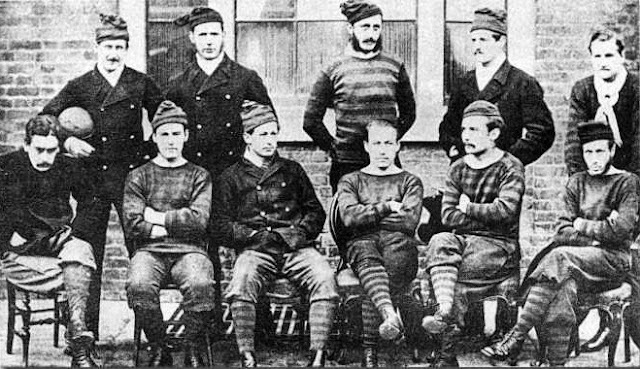 The biggest FA Cup achievers on our list are Wanderers FC, a club that was originally formed in 1859 as Forest Football Club and have won the cup on five occasions. Their success in the tournament was immediate as they won the very first FA Cup final in 1872 by defeating Royal Engineers. They would raise the FA Cup trophy again the following year with a victory over Oxford University, a third time against Old Etonians in 1876, against Oxford once more in 1877 and for a final time against Royal Engineers in 1878. 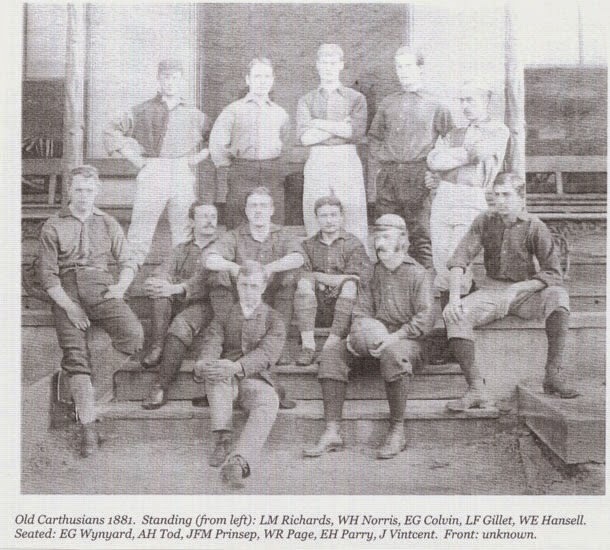 After their vast success in the tournament the club could not stay in competition with hard times affecting the team and eventually dissolved in 1887. But in 2009 the old Wanderers were reformed and are now playing in the Surrey South Eastern Combination League.